Warning: This page might take a long time to load. It contains many high-resolution images. Sorry about that. On the plus side, you can click on any image to view a larger version. Enjoy! In some ways, this may be the most difficult blog post I’ve ever had to write. You see, we’ve just spent nineteen days in Arizona, a place for which I had no (or low) expectations. And we’ve been completely blown away. This state is frickin’ beautiful. It’s gorgeous. 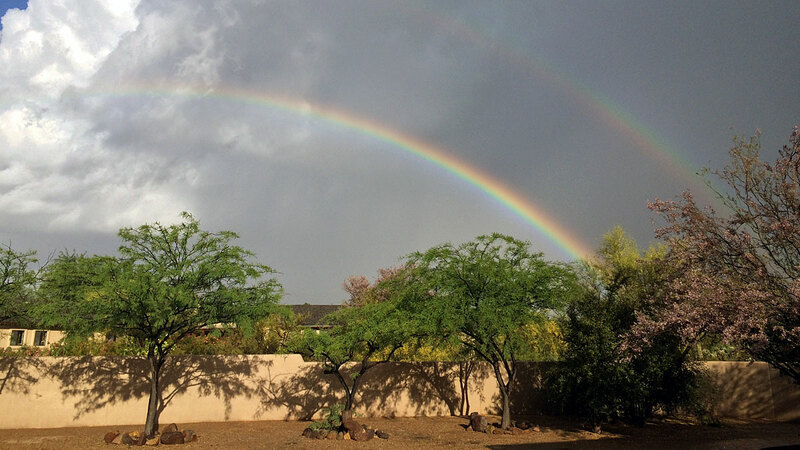 Oregon is gorgeous too, and I love it, but Arizona has a different kind of beauty. But how can I convey that beauty to you, the reader? I can’t. And even though Kim and I have taken nearly 2000 photographs here (!?!) they can’t truly show you just how awe-inspiring the scenery is in this state. The Arizona-Sonora Desert Museum in Tucson was a great intro to the state’s beauty. The tree-like Saguaro cactuses live for decades in a land with little rain. The brief desert rains support a surprising amount of life. Arizona is also mineral rich, which means mining towns pop up in unlikely places. 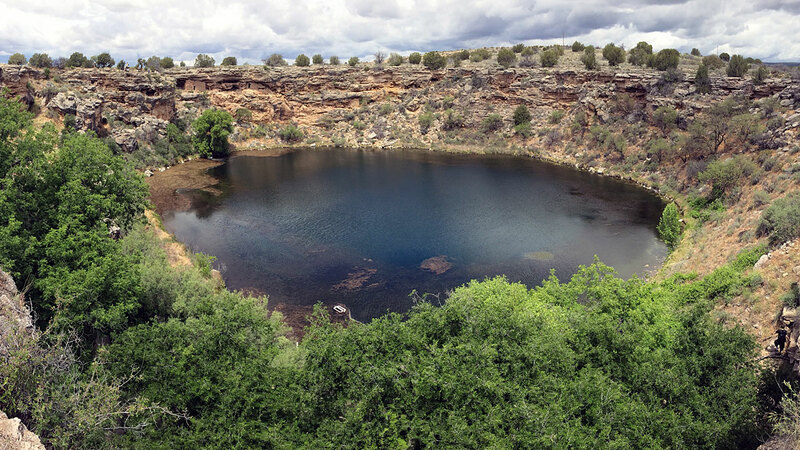 Montezuma Lake is filled by an underground spring. 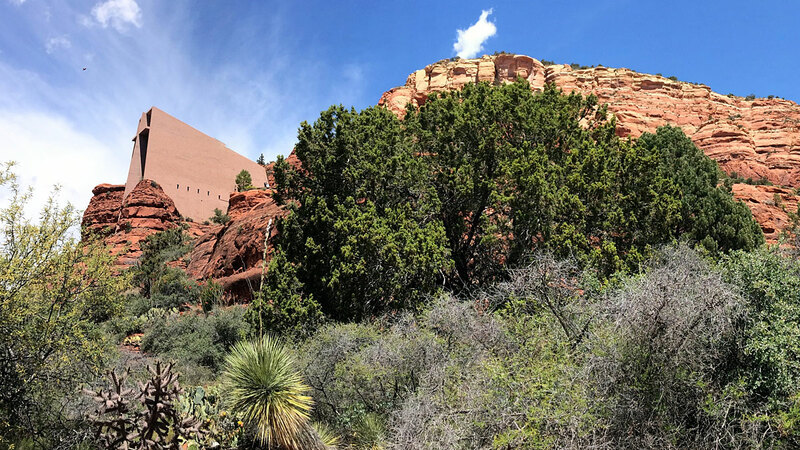 Note cliff dwelling on left. 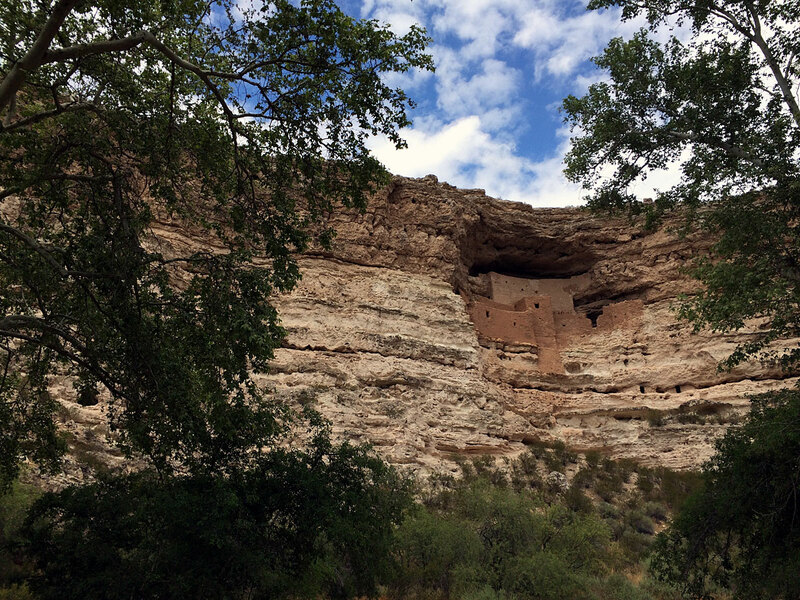 Montezuma Castle is but one of MANY cliff-side ruins. For hundreds of years, people made a home at Verde Valley’s Tuzigoot. 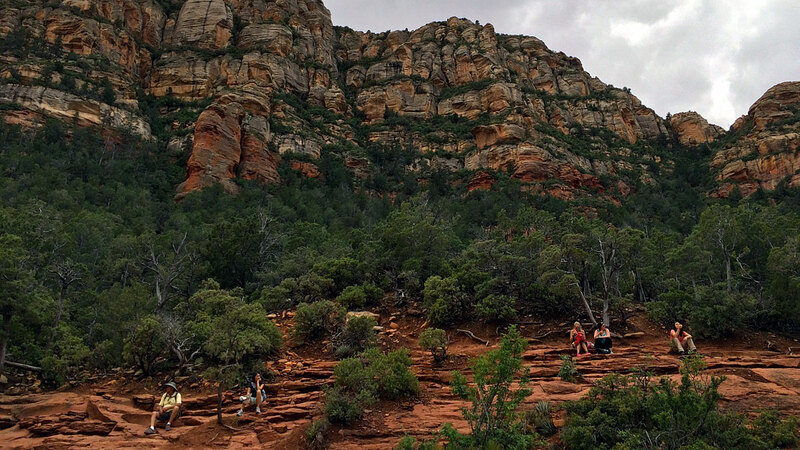 The red rocks around Sedona have inspired spiritual insight for centuries. Devil’s Bridge behind Sedona may be the most beautiful place I’ve ever seen. People from around the world gather here to admire the views. 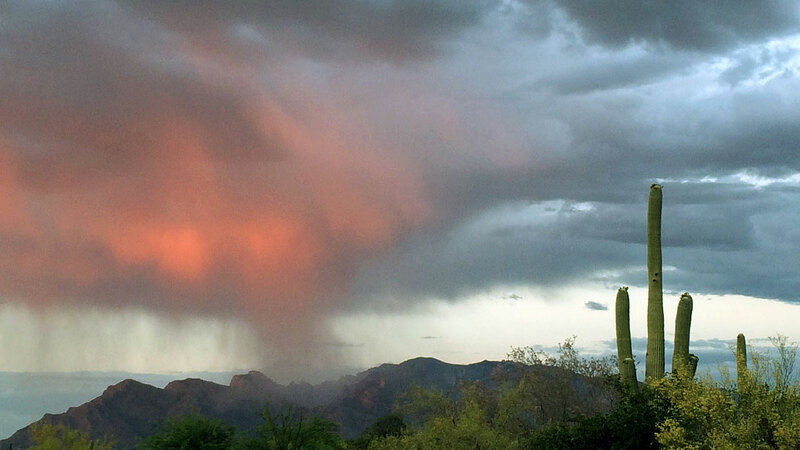 What makes Arizona so beautiful? It’s not a lush green sort of loveliness, the sort to which I’m accustomed. Instead, it’s mostly a barren beauty. It’s a beauty composed of stark lines and large rocks and improbably combinations of color. 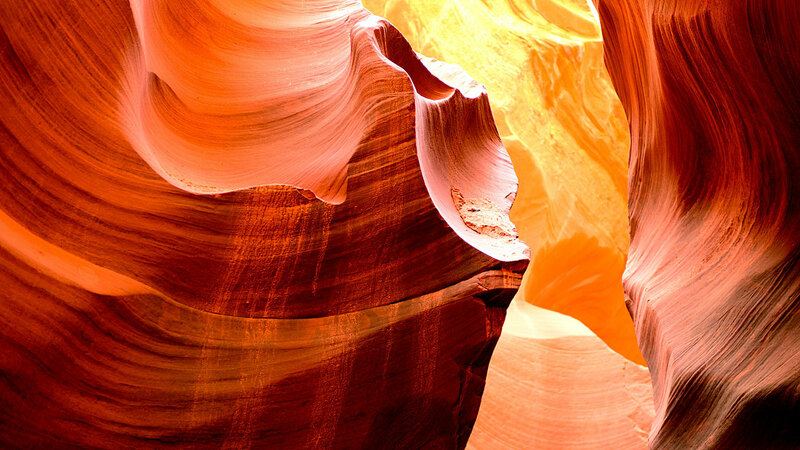 It’s a beauty forged by millions (or billions) of years of erosion. Wind and water have carved this country’s rocks into crazy shapes: towering mountains and plunging canyons, vast deserts and flat-topped mesas and plateaus. These landscapes are on such a grand scale that it’s nearly impossible to photograph them in a way that conveys their majesty. They have to be seen in person to truly be appreciated. In the high desert of north-central Arizona, you can find solitude in the trees. I remember when I was a boy, my grandparents brought us a bunch of Arizona Highways magazines. I was fascinated by the strange landscapes and beautiful scenery. Same thing when I watched Road Runner cartoons. Were these weird landscapes for real? Turns out, they are. 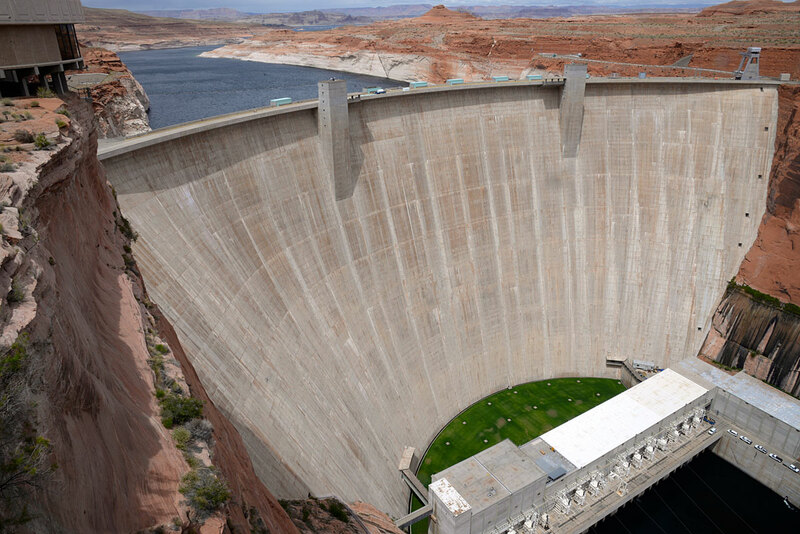 harnesses the power of the Colorado River. 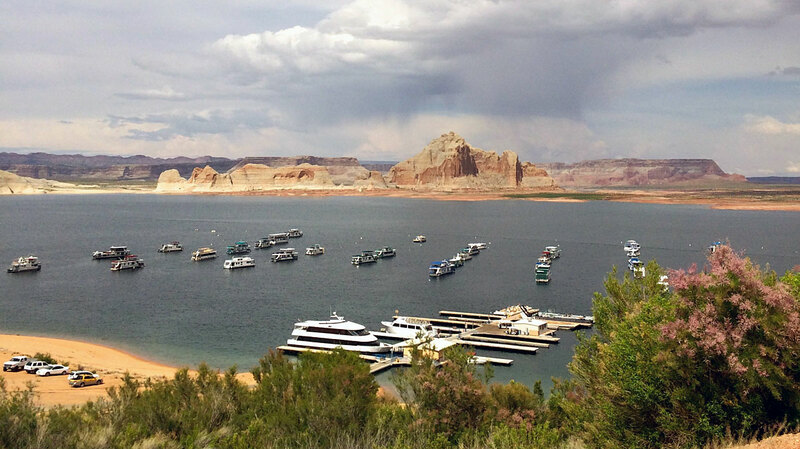 Glen Canyon Dam created Lake Powell, an expansive waterway surrounded by amazing views. 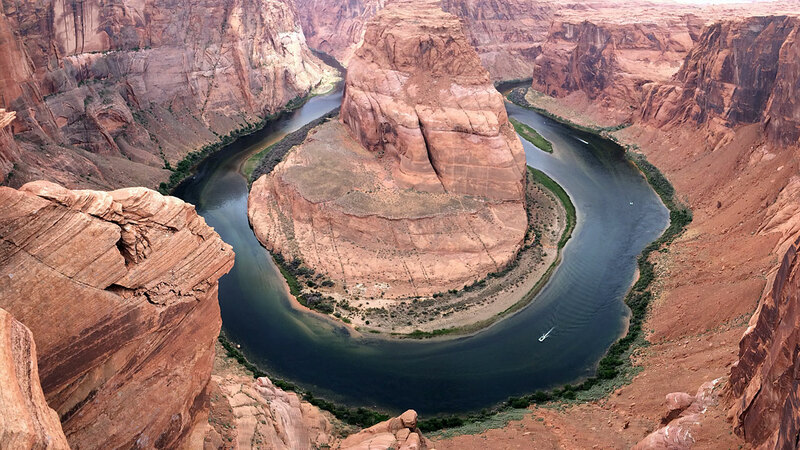 The famous Horseshoe Bend typifies the sort of crazy beauty found in Arizona. Here’s the thing: I’ve only shared twenty photos of the hundreds we’ve taken. And these photos only capture a tiny fragment of what we’ve seen, which in turn is a tiny fragment of the state. There’s so much more to see here. Plus, this is but one of four states in what is sometimes called “Indian Country”. We now know that each of these states is filled with crazy beautiful scenery. We could spend an entire year just touring this region, let alone the rest of the United States. Seriously. I know we aren’t even two months into this trip, but I’m going to make a recommendation. Before starting out, I barely knew anything about this region (sometimes called “Four Corners”). 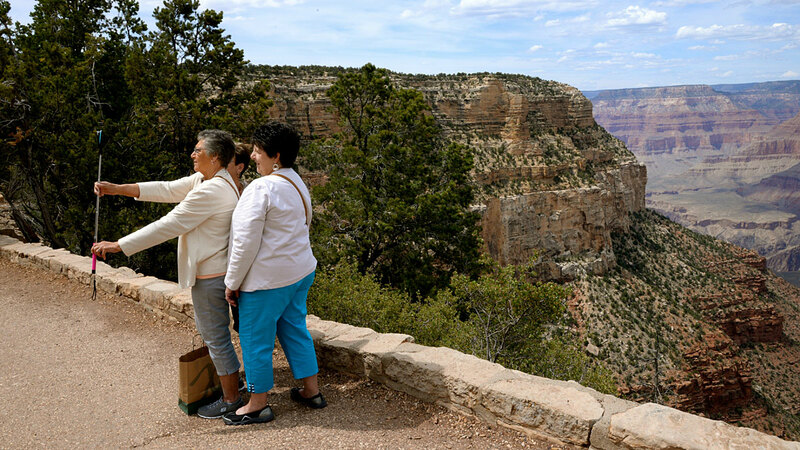 I suspect it’s a blank spot on most people’s radar — except for Grand Canyon. Do yourself a favor. If you get a chance, take the time to explore NE Arizona, SE Utah, SW Colorado, and NW New Mexico. I promise it’ll be the trip of a lifetime. 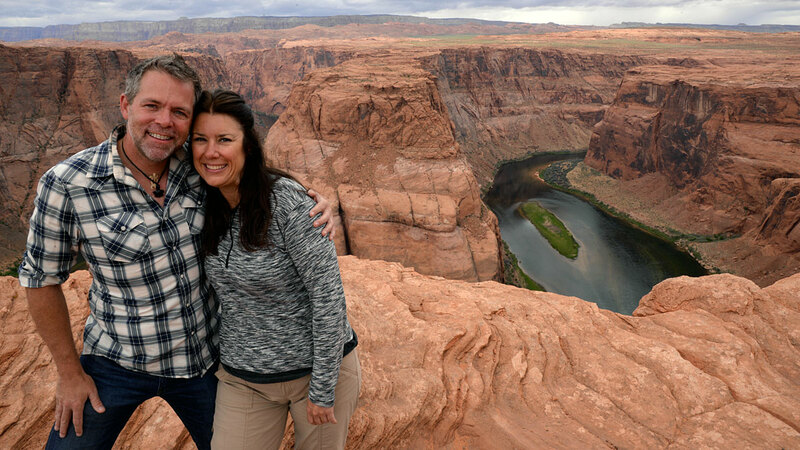 We’re happy to have seen Arizona. Now it’s on to other states! Fantastic pictures!! Thanks for sharing! What an awesome trip you are on. These gorgeous pix reminded me of the trip I took there many, many years ago and now I want to dig out my old photos. They are old,, but will bring back the memories. So glad you have taken a time out to do this while you can! 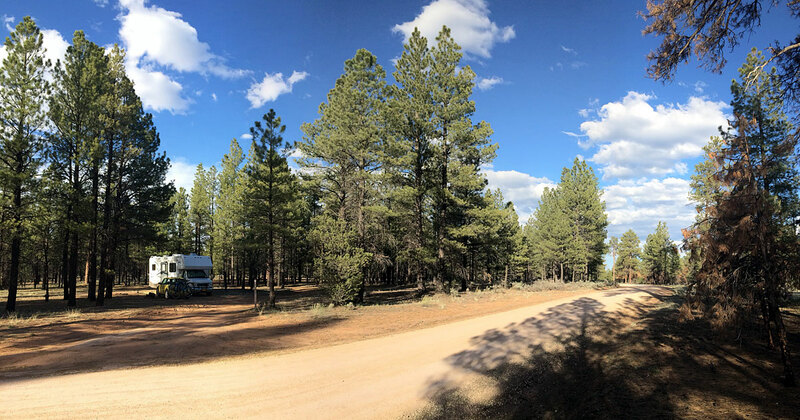 If you get the chance, check out the NE part of the state, specifically Greer area, and the Mogollon Rim along the way there…lots of great areas for boondocking. Our favorite area to boondock when we lived there was “Greens Peak”, just a bit North of Greer. PS: when you get back east to VA and DC areas…some recommendations on RV parks (there are not as many). Our family did an 8wk around the US RV trip 8yrs ago. DC: Cherry Hill RV Park- About the only place to stay in the DC area that is close. Reserve in advance if possible. Buses pick you up at the park and take you to the Metro stop a few miles away, where you can travel into DC for sightseeing. Ultra convenient. Myrtle Beach SC: Huntington Beach SP, just south of the city and out of the craziness. A busy park, but right on the beach. Savannah GA: Skidaway Island State Park- nice park with reasonable sites and costs for staying near Savannah (Plus you will get to cross over Moon River!) Be sure to visit Fort Pulaski when in Savannah! I’m so glad you got to experience Arizona. The scenery truly is amazing! We visited in 2005 and fell in love. We would love to live there someday. The Phoenix area was not my thing, but we traveled north to Sedona, and it was just beautiful. The drive through Oak Creek Canyon on our way to the Grand Canyon was incredible. 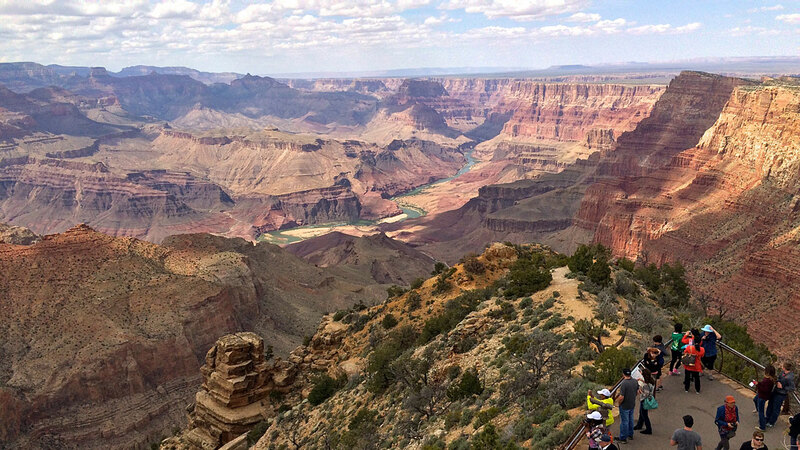 I was completely awed by the Grand Canyon. It is so vast that even as I stood in front of it, it seemed like I was looking at a picture. It was like my brain could not grasp the hugeness of it all as a reality. I would love to hike down there, camp in the canyon, and do a river ride some day. I lived in Arizona for two years and, during that time, didn’t see everything in that beautiful state that I wanted to see. There were still ghost towns unexplored, trails unhiked, and museums unvisited. A brief vacation won’t do it.